VIP guests will have reserved priority seating. You will receive a gift package with a custom Illusions Theatre T-shirt. Your gift bag will also include a parking voucher for the Horton Plaza parking structure valid for up to 12 hours. Bar Menus will be custom made for your occasion and personalized with your guests names. Additional hors d’oeuvres will be handcrafted by our Executive Chef for you. Strolling magicians will spend extra time at your table entertaining you and your guests before dinner. The Owner of Illusions Theatre personally welcomes you and offers your party a complimentary round of drinks. Guests are encouraged to stay after the main show to see additional strolling magic at your table. 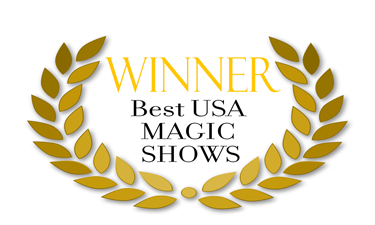 Also, don’t forget to browse the magic store for that perfect gift, souvenir, or new magic trick that you would love to learn to perform yourself. You will find our selection of both amateur and professional level magic props/cards and gifts to be truly.